Redmi Note 7 Pro Could be Coming With 6 GB RAM + 128 GB Storage - Playfuldroid! 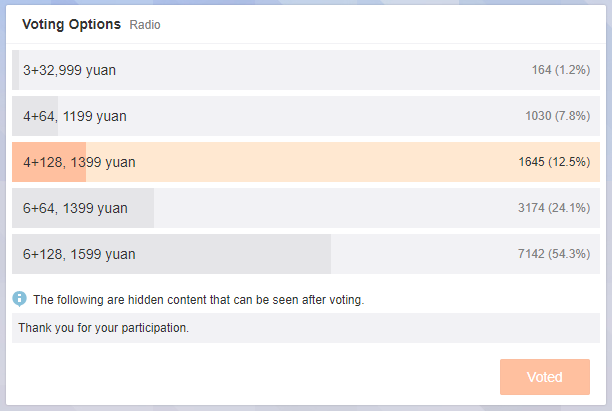 Recently, Xiaomi CEO Lei Jun had run a poll to check the popularity of the different variants of the RedmI Note 7. The poll had included two unannounced versions such as 4 GB RAM + 128 GB storage and 6 GB RAM + 128 GB storage. It is speculated that the company will be announcing the new 4 GB RAM + 128 GB edition of the Redmi Note 7 later this week. The 6 GB RAM + 128 GB storage edition was found to be the most popular in the poll. Lei Jun’s recent Weibo post suggests that the 6 GB RAM + 128 GB storage option will be available on the upcoming Redmi Note 7 Pro smartphone. 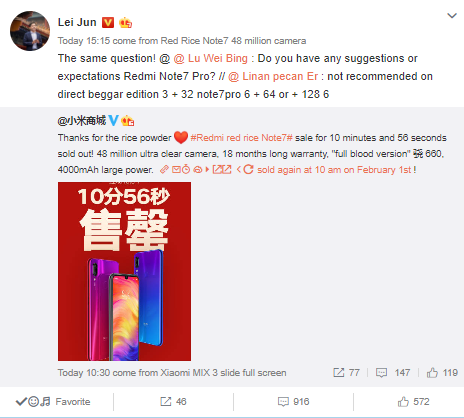 Through Weibo, Jun asked Redmi President Lu Weibing on his expectations for Redmi Note 7 Pro and suggested models like 3 GB RAM + 32 GB storage, 6 GB RAM + 64 GB storage and 6 GB RAM + 128 GB storage. The inclusion of the last variant in his Weibo could be a hint the Redmi Note 7 Pro will be available with 128 GB storage and 6 GB of RAM. Based on the pricing mentioned in the poll that was carried by Jun, it can be said that the Note 7 Pro with 6 GB RAM + 128 GB storage could be priced at 1,599 Yuan or higher. The Redmi Note 7 Pro is slated to go official after the Spring Festival in China. The company is yet to disclose its official launch date. Except for the main camera sensor and processor, the Pro model will be borrowing all its specs from its non-Pro sibling. The Note 7 Pro will be featuring 48-megapixel Sony IMX586 sensor and it could be fueled by Snapdragon 675 mobile platform.